Immigrant access to capital benefits us all because immigrants create jobs, strengthen the economy, and participate in their communities. When I met Leo, who immigrated to the U.S. from Guatemala in search of the American Dream, I couldn’t be more impressed to hear what he has done. He launched a startup that provides opportunities for youth living in public housing to become entrepreneurs in the tech industry. 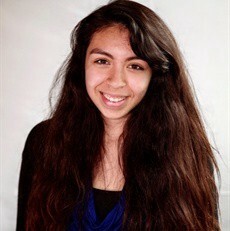 Yaritza Perez attended Dev Bootcamp to learn to code and build her skills. Now she is a Full Stack Developer and recently joined dev/Mission’s leadership team. In her free time, she teaches other youth to code and inspires them to believe in their potential. Yaritza’s story is similar to many other dev/Mission participants who want to become entrepreneurs. Immigrant communities lack access to capital; this limits their ability to fully integrate and participate in the economy. Historically, financial institutions have failed to make credit and loans accessible to immigrants and people of color. Known as redlining, this has resulted in poverty and lack of economic opportunity. Defending the Community Reinvestment Act is an initial step towards holding financial institutions accountable and preventing further redlining in those communities. We recently released a Bank Guide that serves as a roadmap of solutions and best practices on how to best serve immigrant clients. Financial institutions should revamp their strategies and develop more accessible tools to better serve immigrants by providing access to credit and saving tools. CRC and its members are working towards financial security and economic opportunity for all immigrant communities; our Here to Stay campaign provides an opportunity for immigrant communities to decide what legislative and corporate reforms are most needed to remove barriers to economic security. We’ve engaged over 100 immigrant community members to ask them what barriers they face, and we’ve held a visioning workshop with women domestic workers and other community leaders to put together community recommendations on corporate and public policy related to immigrant economic opportunity. We’ve also launched a petition with CREDO to tell Bank of America to stop asking for citizenship info. We’ve just begun on this path, and as CRC’s Community Organizer and an immigrant who understands these barriers, I am proud that this campaign is immigrant-led. We offer a platform for people to raise their voices together to advocate for what they need and what our communities deserve.